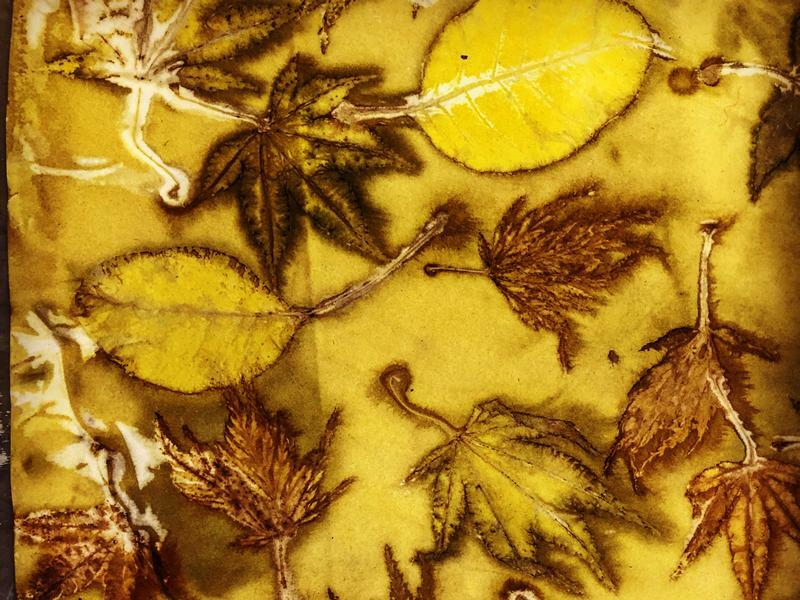 Eco printing is the natural method of creating pattern using botanical material and steam, join artist Elisabeth Viguie-Culshaw for this weekend workshop in February! Eco Printing is the natural technique of printing by direct contact botanical material and cloth or paper. You will be using both the steaming process and the boiling process and produce to produce both prints on paper and some pieces of cloth. There will be an additional option to produce a small piece of silk. If you have previous experience you will refresh quickly the basic and go further... if you are a newbee you will be going away as a total addict... This technique is creative and seriously addictive. You will be able to bring some paper and cloth that you like. Oh there will also be a roaring fire, some great coffee and cake! Please check my Instagram page @bettysbeautifullife for inspiration. I regularly post some photos of good testing. While we take every opportunity to ensure the details for Eco Print your Scottish Leaves Weekend are accurate, we always advise that you contact the event organiser before setting out for the event to avoid disapointment.